The current economic system has become addicted to GDP growth at all costs and has lost sight of the larger goal of sustainable wellbeing. It needs to be fundamentally transformed into a wellbeing economy which is aimed at achieving sustainable wellbeing, not merely growth of GDP, with dignity and fairness, for humans and the rest of nature. 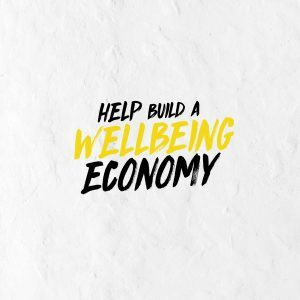 A wellbeing economy recognizes that the economy is embedded in society and the rest of nature and that true freedom and success depend on creating a world where we all prosper and flourish. 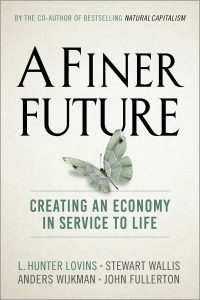 Institutions serve humanity best when they foster our individual dignity while enhancing our interconnectedness. To thrive, all institutions (including businesses) and society must pivot toward a new purpose: shared wellbeing on a healthy planet. To achieve a wellbeing economy, a major transformation of our world view, society and economy is needed. This is what the Wellbeing Economies Alliance (WEAll) seeks to bring about. 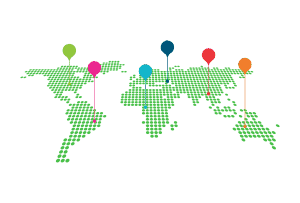 The critical issue facing the many organisations and networks working for a new economic system is not so much what needs to happen, but how to make it happen. Connect and convene seven meta movements from around the world (both radical ones and those closer to the current system). These meta movements will be: businesses; faith and values groups; academia and think thanks; civil society organisations; governments; practitioners such as cities which are implementing new economy initiatives at scale; and institutional innovators. WEAll will support their strategy, collaborations, dissemination and replication. Creation of a global citizens movement alongside support for WEAll communities of place in the form of hubs driven by local actors in their communities, cities and countries. Deliver a gathering of the components of the wider movement in Malaga in 2019. This will encompass a launch of the Global New Economy Movement. Synthesise various academic and grey literature that informs new economy analysis and propositions. Convene universities, students’ movements, think tanks, CSOs and research institutes of the new economy to distil key dimensions of a new economy theory. Spread, share, communicate and champion this material. We are agents (connectors and facilitators), rather than the makers, of change. Our job is to support the makers of change: nurturing their work and its impact, and facilitating connections between them. WEAll is a blending of initiatives, standing on the shoulders of the efforts of several entities and many individuals: ASAP (the Alliance for Sustainability and Prosperity); L4WB (Leading for Wellbeing); and NESI (New Economy and Social Innovation).